The hotel is in the heart of Lyon and close to all the shops. The staff was attentive and answered all questions. The breakfast was really good too. Nice comfortable hotel in the heart of Lyon's tourist area. Tons of pedestrian shops, restaurants, bars within a short walk. Hotel is on a quiet side street away from the noise. Pleasant stay. Great location by the river and next to a bunch of bars and restaurants. The suite had everything one would need to be self sustaining. Very good bed, large room, very convenient in the center of the city. The location is so great! Restaurants and shopping area is just around the corner. The appartment was big. The staff were very helpful. We really liked the room, very spacious. Superb location, Center of everything. 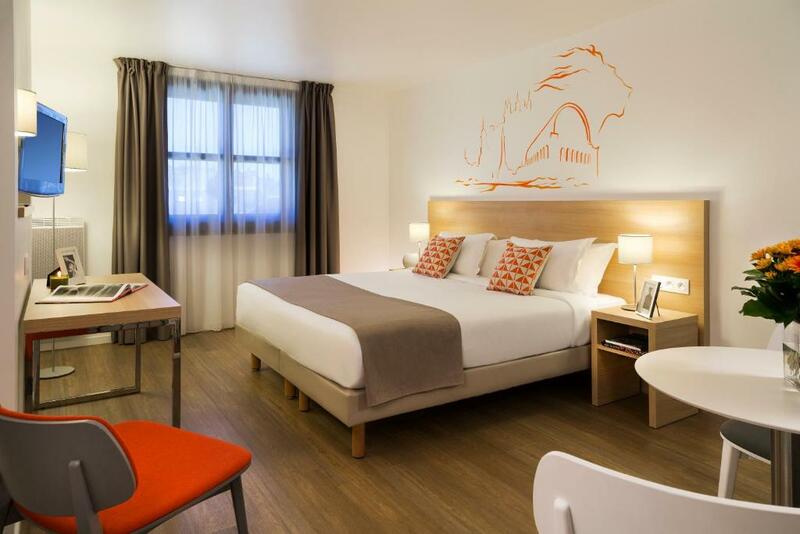 Lock in a great price for Citadines Presqu'île Lyon – rated 8.4 by recent guests! One of our top picks in Lyon.Citadines Presqu'île Lyon is located in the center of Lyon, between the Rhône and Saône Rivers in the heart of the Presqu'île district. It offers fully equipped studios and apartments with free WiFi access. 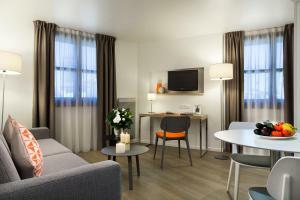 Each apartment and studio at Citadines Presqu'île Lyon has a safety deposit box, ironing facilities and satellite TV. The kitchenette has a fridge, microwave, dishwasher and toaster. Bed linen and towels are provided. Some units have air conditioning. For an additional cost, a buffet breakfast is available daily in the breakfast room. The reception desk is open 24 hours a day. There is laundry facilities on site offering a dry-cleaning service at a supplement. 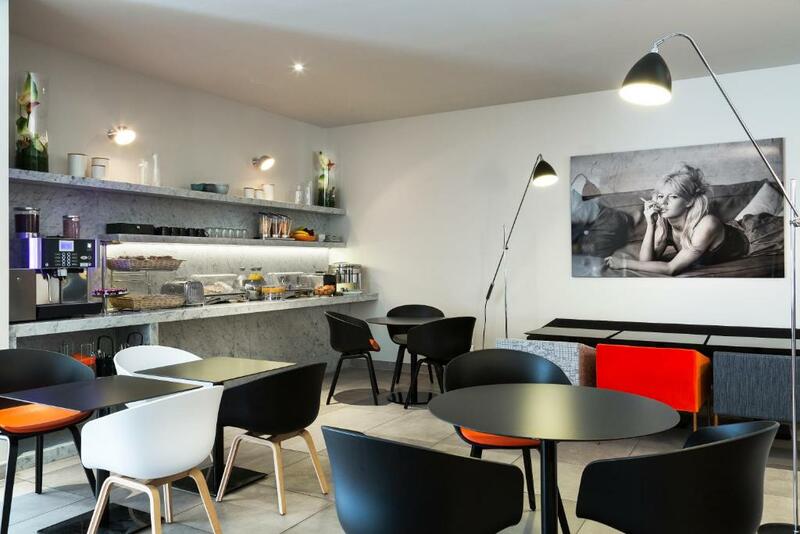 Citadines Presqu'île Lyon is located 1,500 feet from Cordeliers Bourse Metro Station. Vieux Lyon is a 6-minute walk away, while Place Bellecour is 1,650 feet from the property. Lyon-Perrache Train Station is a 13-minute drive away. Parking is available on site for an additional charge and is subject to availability. 2nd arr. is a great choice for travelers interested in shopping, food and restaurants. This property also has one of the top-rated locations in Lyon! Guests are happier about it compared to other properties in the area. 뀐 Located in the real heart of Lyon, this property has an excellent location score of 9.5! When would you like to stay at Citadines Presqu'île Lyon? This studio has a flat-screen TV with satellite channels. The kitchenette is equipped with a microwave, a refrigerator, a kettle, a dishwasher and a stovetop. There is a private bathroom offering a bath and a hairdryer. A fan is provided. The studio has views on a busy street. Air conditioning is not provided. This apartment has a seating area and a flat-screen TV with satellite channels. The kitchenette is equipped with a microwave, a refrigerator, a kettle, a dishwasher and a stovetop. There is a private bathroom offering a bath and a hairdryer. A fan is provided. The studio has views on a busy street. This air-conditioned studio has a flat-screen TV with satellite channels. The kitchenette is equipped with a microwave, a refrigerator, a kettle, a Nespresso coffee machine, a dishwasher and a stovetop. There is a private bathroom offering a bath and a hairdryer. The studio has views on a quiet courtyard. This air-conditioned apartment has a seating area and a flat-screen TV with satellite channels. The kitchenette is equipped with a microwave, a refrigerator, a kettle, a Nespresso coffee machine, a dishwasher and a stovetop. There is a private bathroom offering a bath and a hairdryer. The apartment has views on a quiet courtyard. This Residence renovated in 2015, offers you equipped Studios and One Bedroom in the heart of the city, not far away from the historic center “Le vieux Lyon”. 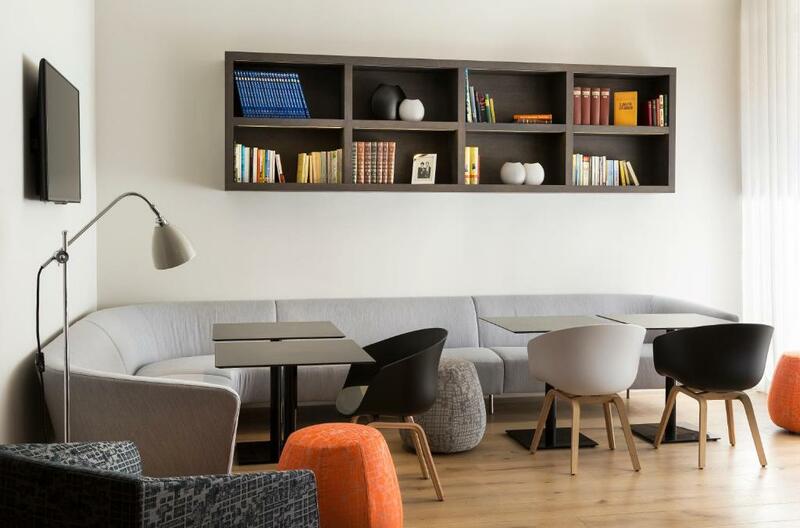 House Rules Citadines Presqu'île Lyon takes special requests – add in the next step! Citadines Presqu&#39;île Lyon accepts these cards and reserves the right to temporarily hold an amount prior to arrival. Citadines Presqu'île Lyon accepts these cards and reserves the right to temporarily hold an amount prior to arrival. For stays of less than 6 nights, maid service, linen changes and towel changes are all at an extra charge. For stays of 6 nights or more, a weekly cleaning with linen and towel change is included in the price. A daily cleaning service is possible at an additional cost. Please note that breakfast is free for children under 6 and half-price for children from 7 to 11 years old. Guests wishing to use the private parking must temporarily park along Thomassin Street. 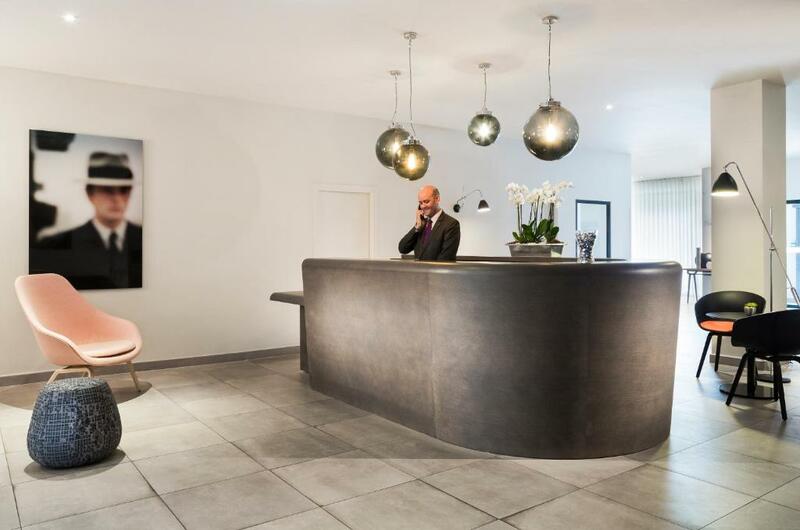 Guests may then walk to the reception desk in order to collect the access card to the car park. IMPORTANT: Reservation for parking is not possible. There are limited spaces offered and access depends on availability at arrival. IMPORTANT: Only the lobby and all the Deluxe accommodations have air conditioning. Please note that the baby cot is subject to availability and must be confirmed in advance by the property. Contact the property directly to confirm. At check-in, guests are required to show an identity card and the credit card used for payment. Please note that all Special Requests are subject to availability and additional charges may apply. All the plates and bowls were dirty and we had to clean them before using them. Also, there could have been some salt/pepper and sugar in the room. Great location, close to a lot of bars and restaurants. Room and bed were large. Free coffee, tea and chocolate at the reception were a plus. The room was not very clean - dust everywhere, and the floor was not very clean either. We asked for one big bed and when we got to the room we discovered that it was two single beds on wheels, which were simply attached to one another - but because of the wheels they kept moving. We asked that they take care of it and only on the second night we put a sheet that would connect the two mattresses, This gave only a partial solution to the problem. In addition the water flow in the shower is very weak ..
No manager on duty to deal with issues, surely that’s what an assistant manager is for? Can’t park remotely near the hotel; they missed out they only have 20 spaces for 160+ rooms in the description! Expensive alternatives to hotel parking at 0.65€ per 15 minutes!! Very clean, great facilities in the hotel itself. Room was well appointed and even had a Nespresso machine, so felt like home. Right in the centre of Lyon with bars and the river within seconds walk. Staff weren't motivated or remarkably helpful. The location was great, walking distance to shopping area and old town. The kitchenette has a coffee machine and kettle so we can have breakfast in the room and a cup of tea before bed. The farmers market and supermarket was just round the corner from the hotel. Comfortable room, comfortable bed. Very quiet even though it is very busy outside. Spoilt for choice for places to eat. Very nice staff. The location of the hotel is excellent. Could not be better. Very close and accessible. By the banks of the river. We did not eat breakfast at the hotel, but what you can see breakfast is good and varied. Not enough parking spaces, we got one only for the second night. Alternatively there is a parking St. Antoin in 5 minutes walk, costs quite a lot but there is no choice. Since there was a kitchenette in the room, it would have been nice to have a kitchen towel. The location was excellent. The room was spacy and comfortable. Double windows protected us from the street noise. Only 2 sets of towels provided yet the aparthotel knew there would be 3 guests, we had to build the sofa bed ourselves, and also would've preferred tea and coffee to be available in the rooms. Milk was also not available for tea which English customers want.